Beautiful 4 bed 2 bath CBS home with pool. 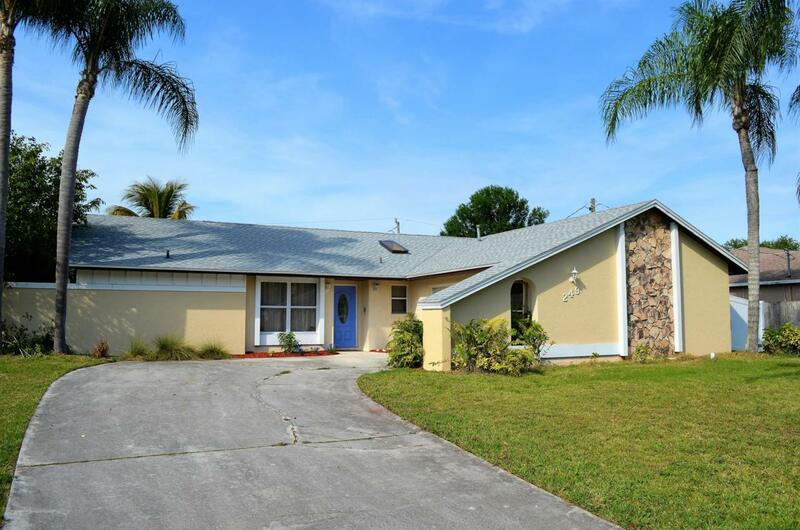 This home has top of the line wood cabinets, granite counters and stainless steel appliances. The home is open, with large tile at a diagonal, and is set up well for living. The Master Bedroom is on the other side of the house from other 3 bedrooms for privacy. It has a big back yard with pool. There is a Florida Room that has been used as an Office or could be used for gym. The Master Bedroom is large and has a beautiful atrium outside the bathroom window. The home is equipped with electric stove and hot water tank. Included in sale is gas stove and gas hot water tank if new owner would want to convert. The garage is large and has a screen for the front. The home has a brand new roof and was recently painted outside.